Plasticine is the perfect modelling material! It never dries out and it can be mixed to make new colours. 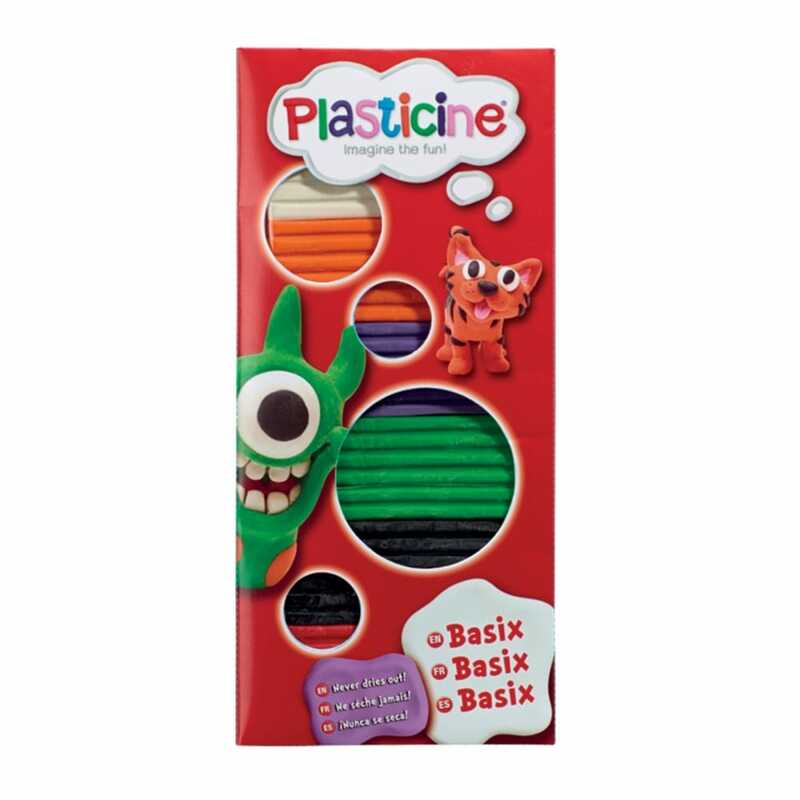 Plasticine is great for young hands to make fun shapes with or for expert model makers to create intricate models with fine details. If you make a mistake or change your mind simply smooth out the area and try again. The only limit is your imagination, great for children and big kids! A timeless classic that can be used in a huge variety of ways! Young modellers will have hours of fun with the BaSix Pack. This versatile modelling material comes in 6 various colours, which can be mixed to provide an almost unlimited supply of shades and colours.